This year, why not take $500 and open an investment account for someone you love? Give the gift of investing by getting a loved one a start in this key area of financial responsibility. 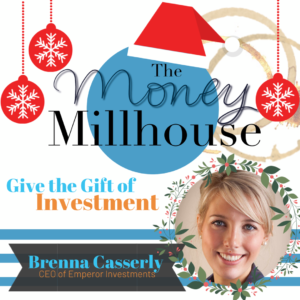 Recently on The Money Millhouse, we hosted Brenna Casserly. Brenna Casserly is CEO and Co-Founder of Emperor Investments, a Toronto-based robo-advisor. One of the reasons we like Emperor Investments is that Emperor was founded on the notion that investing is highly personal. Over the course of the last decade, Brenna and co-founder, Francis Tapon, have developed proprietary technology that builds personalized portfolios. This means you don’t have to know everything there is to know about investing, you’ll have a partner at Emperor who will help you decide which fund is best for your investment style and your financial needs. For a limited time, you can open an account at Emperor and our non-profit, Heroes at Home, will benefit from your new account if you use this link to Emperor Investments for the Money Millhouse. We believe in this kind of investing so much that we gifted an account to others who need help in just getting started. So instead of giving your friend or family member gifts that will end up in the giveaway bin in just a few years, give them an investment account that will be worth more than your original investment in a few years. The gift that will keep on giving. Don’t forget to use our Money Millhouse link in order to benefit Heroes at Home, so that we can continue to provide free financial education to our military members around the world. 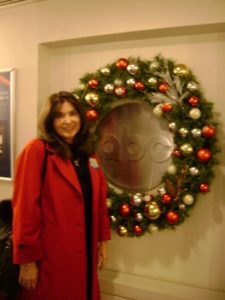 Ellie Kay is the best-selling author of fifteen books and a frequent media guest on CNBC, ABC’s Nightline, MSNBC, Neil Cavuto and Fox News. Ellie is also a gifted keynote speaker, presenting to standing ovation crowds of over 8,000 people.